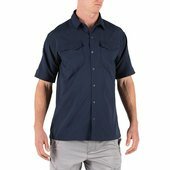 The Freedom Flex Woven Shirt from 5.11 Tactical offers an innovative new woven design that offers superior indoor and outdoor comfort in a broad range of job environments. Featuring a unique perforated fabric under the arms, at the sides, and across the back, the Freedom Flex provides dramatic increases to both breathability and freedom of movement. 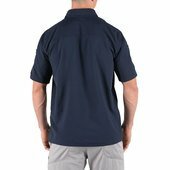 Extra wide pen pockets on each sleeve and dual chest patch pockets offer plenty of storage space, and lightweight construction helps keep you cool and comfortable all day long.